The floor for mom's house is in. Eric has had all four of his sons helping him on his projects this week. They all are good hard workers. Caroline is standing in the far corner of mom's new house. She is in what will be the bedroom. It seems so far over there. I am standing where the garage will be. 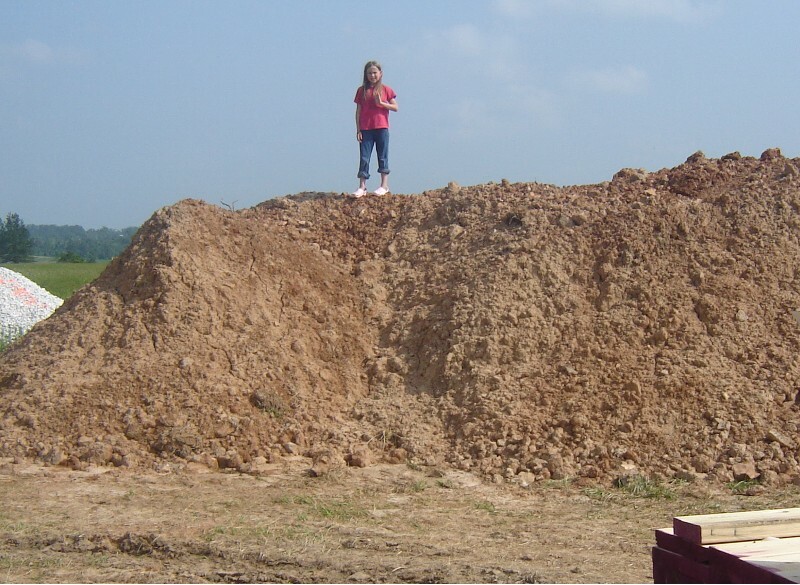 Caroline got permission from Eric to climb the dirt hill today. She wanted to let you know just how big they are. The are quilt the climb to the top. Where I live, if a contractor brought a bunch of his sons to help him out, you can be sure that they are polygamists. Especially if they wear long sleeved shirts buttoned all the way up in the summer time.